It is with great delight and utmost sense of satisfaction that I welcome you on board the University of Benin Distance Learning Programme. I am particularly elated that you have taken advantage of the opportunity offered by our University’s seamless platform and technology to have a taste of our quality higher education. It is a whole new world of limitless opportunity to open access to higher education. The Centre boasts of a high calibre of teaching and non-teaching staff alongside experts in ICT needed to provide unparalleled distance education in Nigeria. The University of Benin Distance Learning Centre currently offers a degree undergraduate programme – B.Sc (Accounting). For more information about this programme and other courses soon to be introduced, please visit the specific section of the Centre’s website. 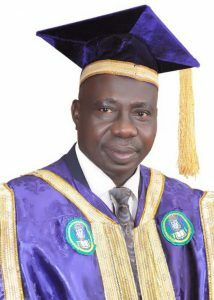 The Centre for Distance Learning of the University of Benin was created to extend access to deserving prospective students who for one reason or the other are unable to access tertiary education through the normal traditional University education system. We admonish you all to make the best use of the various facilities and resources made available on the platform to achieve your aims. Be rest assured that we are committed in our avowed determination to give you the best on this platform. We are equally steadfast to our mission of providing limitless access to quality higher education through this platform in developing the human minds to become creative, innovative, research oriented and competent in any chosen area of interest. Once again, you are welcome and I wish you a smooth and fruitful learning experience. For Information on how to apply click here.